Protect your investment with regular service. Turner’s Keyboards can provide you with the very best professional and factory-trained service technicians to provide honest and competent service. Whether your needs are for the concert stage or the home environment, contact us today for your piano tuning and service needs. Turner’s is proud to announce the newest member of our team, Mr. Joel Wilkinson. Besides being an accomplished musician, Mr. Wilkinson earned his RPT certification at North Bennett Street School in Boston and qualified for Certified Tuning Examiner (CTE) by achieving over 90% on the RPT exam. 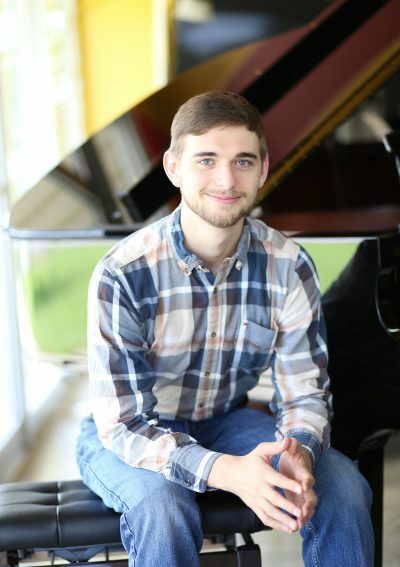 He was one of the two first year students selected to intern at the Tanglewood Music Festival, a music festival held every summer in western Massachusetts. Recently Mr. Wilkinson received technical training at the Steinway & Sons factory in Astoria, New York, for servicing the Steinway Spirio player piano.